Suit up your baby with a cute outfit or a fun toy that no other kid in the sandbox will have. 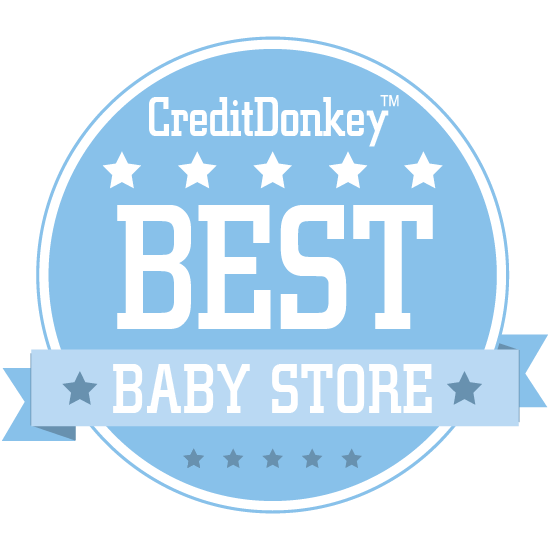 Winners of the CreditDonkey Best Baby Stores award have been announced. If there's one downside about parenting, it's this: You don't have as much time to shop around anymore. Gone are the days when you could breezily window shop and stumble upon a great store. 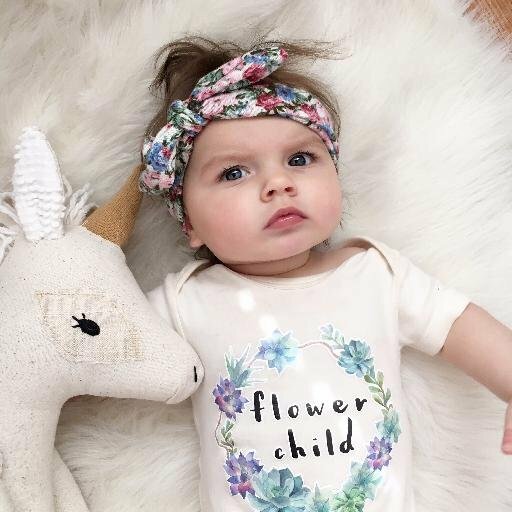 In fact, it is hard to find shops with unique and cute baby products when you can find a seemingly endless amount of baby stores online and little way to sort through them all, to know which ones have the best and cutest stuff. We're going to save you a ton of time and any feeling you have that you're missing out with our list of the very best baby stores. Skip the big-box, run-of-the-mill shopping excursions, and have a blast checking out the stores below. You'll find must-visit options for your wee one on this list, whether you're looking for stylish clothing, can't-resist toys, baby supplies, a special gift for an expectant family, or a local baby shop you can support. The act of parenting is overwhelming - there's no doubt about that. Coming in a close second on the overwhelming factor is shopping for your baby and kids. At CreditDonkey, we help you spend your time and money wisely by narrowing down your shopping choices to only the ones that deserve your attention. The baby stores on our list below fit the bill. When Austin-based parents James and Heather Bendle were balancing parenthood and career, they realized that shopping for kids and babies deserved an innovative option. BabyEarth.com is now one of the largest and most thorough shopping portals for kids on the Internet. With a focus on green living, competitive prices and the best reviewed and well-tested baby strollers, car seats, furniture, bedding, monitors and clothes, it has grown into one of the most reliable baby sites online James and Heather Bendle launched baby-wise.com in 2003 and it has since grown into a worldwide phenomenon, now called BabyEarth.com, with millions or products shipped to happy parents and babies. Why BabyEarth is a Top Baby Store: Large online retailer that retains the feel and personality of a small-town store. Austin-based online store with same-day shipping in the Austin area. One of the most difficult parts of shopping for kids is how quickly they outgrow toys and clothes. Once Upon a Child is one of the best and largest retailers that buys and sells gently-used baby clothes and toys. It's a great option to find apparel and entertainment for your little one while saving money. You can get up to 70% off retail cost and put some extra money in your pocket. Other sister stores to Once Upon A Child include Play It Again Sports, Music Go Round and Plato’s Closet. All stores are a part of the Winmark Corporation. While each store is geared toward a specific demographic, the stores are sell.buy.repeat concepts. Why Once Upon a Child is a Top Baby Store: Once Upon A Child is part of a unique national recycling retail chain that specializes in merchandise for infants to pre-teens. Buy and sell gently-used clothes, shoes, changing tables and toys while saving big on retail costs. Once Upon A Child ensures that all products purchased and sold meet mandatory and voluntary safety standards. Locations across the U.S. and Canada. A full pirate ship for your child to play in the backyard. 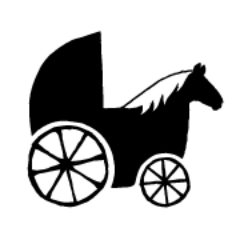 Adorable and timeless carriages that you'd find in an Olde English fairytale, designer rugs and the magical touch that your baby deserves. 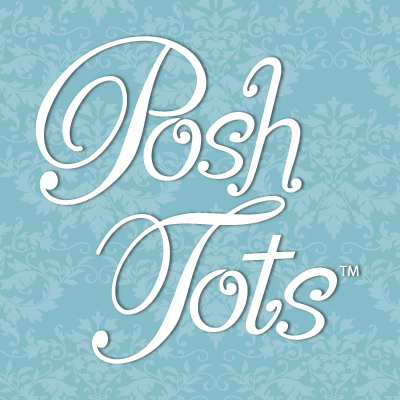 PoshTots is a one-of-a-kind option for all things opulent and adorable for your son or daughter. Founded by a mom who wanted furniture with a special touch for her kid, PoshTots has since been featured in People Magazine, House Beautiful, InStyle and Better Homes and Gardens. 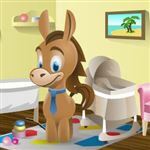 Why PoshTots is a Top Baby Store: Baby furniture, bedding, kids furniture, rugs, artwork and decor, cribs and accessories. Online store with international shipping available. My Miracle Baby believes in comfortable and adorable apparel for your baby at a competitive price with satisfied customers. They accomplish that by supplying personalized tunics, dresses, longalls and suits. Parents will be able to dress their kids in the most adorable and comfortable clothes that they can personalize for their toddler. Great for photos and family outings. Part of BabyGiftSupply and BabyCostumeStore family of sites. Why My Miracle Baby is a Top Baby Store: Customized clothing for babies, toddlers and kids of all sizes with a great discount compared to retail. eBay power seller, WebMomz Golden Web Award and part of FavoriteBabySites.com. 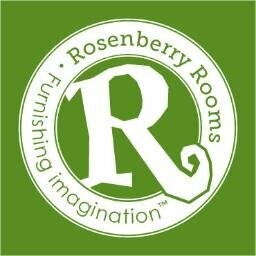 Rosenberry Rooms is one of the best options for parents who want to get more imaginative with baby's room. Avoid the same IKEA furniture as everyone else and find decorative artwork, beds, cribs, nurseries and toys that will make your baby's room as precious as your child. With a focus on lighting, decor, rugs, art and green products, they have everything you'll need for the perfect nursery. Susie Fougerousse combined her love of commerce and design to create Rosenberry Rooms back in 2004, and it has since grown into a worldwide hit. Why Rosenberry Rooms is a Top Baby Store: Search by rooms, categories, type of furniture, bedding art or accessories across luxury brands with shipping available in numerous countries worldwide. Featured in Pregnancy & Newborn Magazine, American Baby and HGTV. Where do Hollywood movie stars go to shop when they need a unique and elegant gift for their baby? One of the first places they stop at is The Elegant Child, one of the longest-running baby stores of its type. It is the place to go for personalized, embroidered, fancy and special shopping for your child. Founded back in 1989 to cater to the luxury desired by moms and movie star parents in Beverly Hills, Elegant Child has retained its reputation and brand as one of the top options for upscale babies. After almost 30 years in business in Beverly Hills, Elegant Child has moved to Malibu with a showroom open by appointment. Why The Elegant Child is a Top Baby Store: Gifts and gift baskets, toys and books, clothes and accessories and personalized gifts. Online store based in Malibu, California. Green Babies believes in environmentally-friendly baby products and clothing that leave no impact upon our environment. If you're going to be handing off the planet to the next generation, Green Babies believes in leaving a minimal impact on Earth. In addition to their green products, their model-designer creator has also made some of the most stylish baby clothes and apparel without using any harmful products. Lynda and Hossein Fassa created Green Babies in 1994 with the mission to provide ethical, stylish and low impact clothing to kids and babies without sacrificing fashion. Why Green Babies is a Top Baby Store: Bedding, apparel, accessories and toys made from green and recycled materials. New York-based company with one of the largest online green baby stores. Do your kids love playing in the sand and you're looking for the perfect bucket that has baby's name etched along the side? How about a personalized bib, burp cloth, pillows and travel bags? Baby Be Hip is one of the best sites online when it comes to personalized gear for your baby. Founded by a stay-at-home who was looking for her next project, Baby Be Hip, founded by parents looking to personalize baby clothes and gear, has exploded in success. Why Baby Be Hip is a Top Baby Store: Shop by occasion, event, product, recipient or best-seller, then have it personalized here in the U.S.A. Free shipping on orders over $75. Online store founded in 2002. Whether you want to teach your baby about animals, letters, trains or trucks, Learning Express Toys is one of the best resources for educational products in the country. They have numerous brick-and-mortar stores across the country so you and your toddler can explore his or her favorite products before making a purchase. Great options and selection for kids of all ages. Founded in 1987 by parents as a single store in Massachusetts, the brand has since been franchised nationwide. Why Learning Express Toys is a Top Baby Store: Focus on cognition, motor skills, language and speech, and visual perception toys for kids aged newborn up to their teens. 125 locations across the United States. 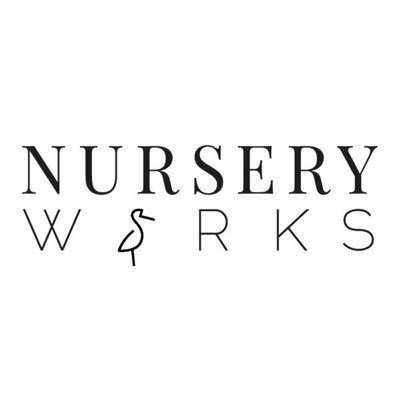 One of the fanciest designer furniture and clothing stores for babies and toddlers online, Nursery Works focuses on beautiful and fashionable apparel for your child. With an eye on the ultra-chic market, they specialize in high fashion, raw, non-toxic materials to revolutionize cribs, nurseries and clothing for uber-fancy babies and their parents. Handcrafted by specialty designers for high-end and chic bedding and clothing. Why Nursery Works is a Top Baby Store: Handcrafted items by specialty designers for cribs, furniture, clothing and accessories that you won't find among mass-produced stores. L.A. based company with products available in baby stores across the country. 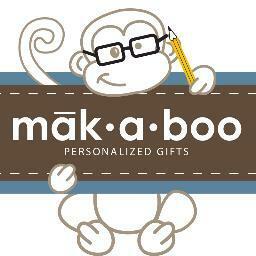 If you are on the hunt for adorable and personalized baby gifts, clothes, toys, gifts, burpies, bibs and blankets, you don't have to go much further than Makaboo. Designed to be the best online resource for quality personalized gear for baby, this St. Louis-based company succeeds in designing warm, fashionable and comfortable sweaters for baby while offering the cutest toys and accessories for memorable photos and fun. Cindy Teasdale McGowan created Makaboo because she wanted to fill a need for high-quality personalized baby gear and clothing. Why Makaboo is a Top Baby Store: Almost any toy or apparel can be personalized, along with some of the best clothing and costumes for great pictures for future embarrassment for your kid. Featured in the Wall Street Journal, CNN, People and Us magazine. A unique and stylish baby boutique featuring designs from Petit Bateau, Little Marc Jacobs, Stella McCartney Kids and Karl Lagerfeld Kids, Bel Bambini is one of the best high-end options on the market. You can dress your kid, toddler or child in dapper threads that will make him or her look ultra-chic and stylish for memorable photos and family outings. Italian for "beautiful babies," Bel Bambini was designed for parents who didn't want to sacrifice design, beauty and style for practicality when it came to shopping for baby. 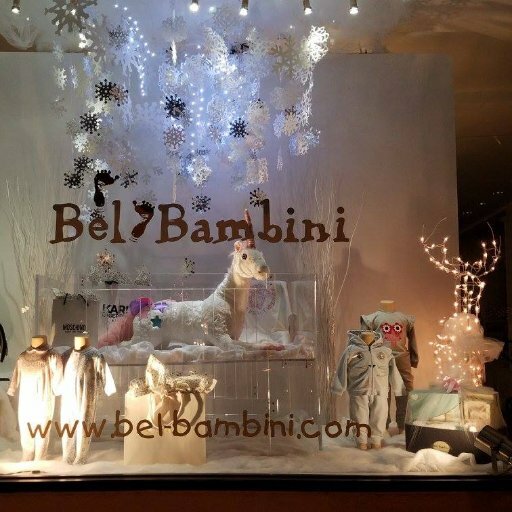 Why Bel Bambini is a Top Baby Store: Clothing, backpacks, strollers, car seats, gear, bath, potty, toys and gifts created with a designer's eye for practical and stylish babies and moms. One of the largest online stores for designer clothes and accessories for baby that hits all the right numbers when it comes to style and practicality. With a specialized focus on chemical-free products, Sprout aims to create the safest and healthiest environment for your baby. Sprout analyzes every product they sell so that your child will have the happiest upbringing free of anything harmful in the nursery. It does that by educating parents through their store and site on anything harmful so that your baby can have a fun and comfortable growth. Sprout was founded by a San Francisco-area mom who wanted to put chemical-free and ethical baby products under one roof while educating parents. Why Sprout San Francisco is a Top Baby Store: Three locations in the Bay Area, along with Brooklyn, Chicago and online. When it comes to organic clothes, eco-friendly gear, bath, skin care, bedding, diapers and feeding with gifts for a registry, Organic Baby Gift Boutique is a full store for ethical products for baby. With a delicate focus on keeping chemicals and any harsh materials away from baby's delicate skin, their mission is to use ethically-sourced, non-sweatshop materials and products so that your baby has the healthiest and happiest childhood. Created with the mission of having a one-stop outpost for organic products for mommy and baby. Why Organic Baby Gift Boutique is a Top Baby Store: Their site promises non-toxic, organic and eco-friendly materials with items made in the USA or fair trade. Products are made in sweatshop-free factories and have been tested for safety. Online store feature a full range of organic products. What about some clothes with some bite, style and chic? Babesta set out to revolutionize baby clothing because of the lack of options outside the traditional style. Branded as "Curated for cool city kids," Babesta sets itself apart with fashionable, cool, explosively-stylish designs for kids of all ages. You don't have to dress your baby in a frilly tutu (if you don't want to); you can find the same kind of cool and fashionable options that you'd want from a high-end boutique designed for baby. Founded by designers who wanted something with a little more character and personality than traditional baby clothing, and has now boomed into a chic and unique option for kids. Why Babesta is a Top Baby Store: Extremely stylish clothes, shoes, furniture, gear, strollers and bath with locations in New York City and online Started as an online store in 2004, opened their first storefront in the TriBeCa neighborhood of New York City in 2007. NessaLee Baby is one of the best options online when it comes to finding a boutique that's packed with your favorite celebrity designs. If you are a fashionista mom or dad who is looking to dress and accessorize baby in the coolest threads that are made by some of the most creative eyes in the industry, prepare to wander down endless rabbit holes of amazing offerings for baby. Created as the premier online shopping portal for fashionable parents to find their favorite celebrity designs for baby. Why NessaLee Baby is a Top Baby Store: Hundreds of celebrity brands and designers, an online gift registry, unique offerings you won't find anywhere else, and fashionable options that will stand out from the rest of the class. Online store with a location in Freehold, NJ. Read: Where Do Car Seat Returns Go? When it comes to delicious, organic, popular, loved, healthy and nutritious baby food, you can't get any better than yummy spoonfuls. Offered in dozens of flavors in juice packs, healthy foods and bowls for babies and tots for their most important early years of life, there's a reason that kids can't get enough. It's a parent and baby top pick. yummy spoonfuls' founder grew up a farmer's daughter in Cameroon. She brought her farm-fresh, healthy, organic cooking to the States and became the premier baby food chef in the country. yummy spoonful was founded in 2006. Why yummy spoonfuls is a Top Baby Store: Non-GMO, no added sugar, no juice concentrates, no processed purees, no additives to their healthy and delicious baby and toddler foods. Available in stores everywhere. If you're welcoming baby to your new home, you want to find a design and style that's uniquely you and your family. If that description involves clean, eco-friendly modern designs that are safe, warm and loving, then one of the best options is Modern Nursery. Whether you're looking to furnish or decorate baby's new room, there is a stylish and functional option for you. Founded to provided a hip, safe, loving and warm nursery for parents and kids, the store is one of the most popular of its kind in the area. Why Modern Nursery is a Top Baby Store: Furniture, bedding, gear, decor, nurseries, eco-friendly, gifts and toys that will be a match for any baby and any family. Online store with a location in Richmond, NJ. When you think of healthy, organic, happy, GMO- and BPA-free products that are ethically-sourced and natural, the leading edge of that movement is the Orange County store, Granola Babies. Featuring every product that mommy and baby could hope to find, along with excellent and informative classes and workshops, Granola Babies fulfills its Southern California mission of being one of the best resources in the country for eco-conscious babies and parents Granola Babies was launched in 2005 and became a trendsetter in California by helping parents raise an eco-friendly baby with sustainable and ethical products and materials. Why Granola Babies is a Top Baby Store: One-stop shop in Orange County for everything baby, along with informative classes and workshops for healthy and happy babies and parents. Located in Costa Mesa, Orange County, California, with in-person classes and a great online store. Tot Squad is a startup that cleans, repairs, and safely installs baby gear both old and new in homes and retail settings. 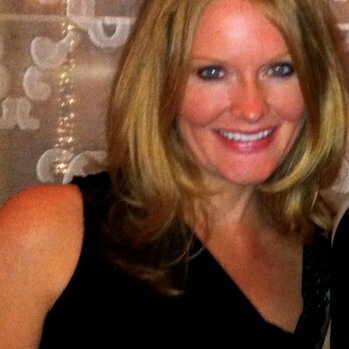 CEO and Founder Jennifer Beall Saxton is a graduate of Northwestern University's Kellogg School of Management, where Tot Squad won her the Student of the Year Award in Entrepreneurship. Why Tot Squad is a Top Baby Store: This company knows how busy parents can get, and aims to help their work/life balance by offering a helpful service aimed at ensuring everything a baby needs to thrive is clean and safely constructed. In addition to its basic services, they also restore old gear and offer safety education for families in need. If baby's nursery is a little colder at night or you don't want wayward blankets around the crib, Baby Deedee is a great option for you. Tiny little sleeping bags and pajamas keep baby snug, warm and cozy so that he or she can have an excellent night of sleep. With the goal of preventing SIDS while helping kids and parents be more restful throughout the night, Baby Deedee products are some of the most popular sleeping accessories on the market. What about some clothes with some bite, style and chic? 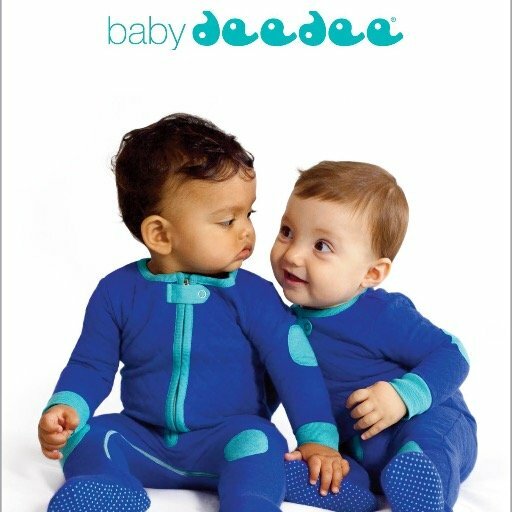 Why Baby Deedee is a Top Baby Store: Sleeping bags, pajamas, bedding, blankets, footies and apparel to keep your child warm and safe at night. Available online and in stores around the world. If you have a princess party on the horizon, a baby beauty pageant, a special outing or want one-of-a-kind photos, then Mommy Couture Designs has some of the most gorgeous, loved and handcrafted designs in the world of baby boutiques. That is thanks to the unique artisans and designers who wanted to build magical clothes for baby that share the kind of imagination and authenticity that makes your baby just as special as the clothes he or she wears. 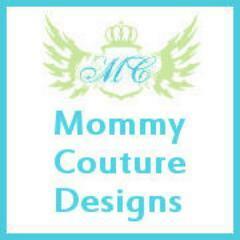 Mommy Couture Designs was created to showcase artisan parents who create handcrafted clothing for kids. Why Mommy Couture Designs is a Top Baby Store: Jewelry, accessories, dresses, tutus, bibs, blankets and decor. All with an artisan and handcrafted design for couture-conscious parents and babies. Florida-based online boutique. 2Modern knows that a nursery doesn't only consist of the right crib or bassinet, and that it doesn't come together until the entire room is complete. That can mean the lighting, decor, accessories, flourishes and modern touches that put 2Modern on the map. They apply their gorgeous interior design to the world of babies and nurseries and combine their experience to make your nursery truly feel like home. 2Modern believes in creating safe, durable and imaginative spaces for kids with functional and engaging play rooms. You can design it to your family's needs and your own personal designer touch. Why 2Modern is a Top Baby Store: Kids and baby furniture, bunk beds, bedding, kids and nursery lighting, play spaces, decor and accessories that bring your playroom or nursery to life with a clean and modern design. Online store. One of the most popular ways to shop online is with daily deals on popular brands that are available for a limited time at up to 80% off. That model is applied to Baby Steals, which offers deep discounts on fashionable products and apparel for mom along with gear and supplies for baby. Subscribe to their newsletter or check in every day for great deals that are available until they're all sold out. Baby Steals was created to bring the popularity of Groupon and Living Social to baby clothes, supplies and apparel so parents could get great deals without sacrificing fashion. Why BabySteals.com is a Top Baby Store: Bags, maternity clothes, jewelry, shoes and decor for mom and dad along with apparel, gear, supplies, blankets and toys for babies and kids. A new steal every day. A new steal goes online at 8 AM PST and stays until it's no longer available. Subscribe to their newsletter for updates on the latest steals. Inspired by the goodwill and popularity of philanthropic-based business models, Rockin Baby is an innovative sling, transport and apparel company with a worldwide mission. For every sling that's purchased through Rockin Baby, one is donated to a mother who was affected by the Haitian earthquake of 2011. The award-winning site offers tips, info and guides on slings and has expanded into apparel as well. Rockin' Baby was founded in 2002 on the cusp of bringing back baby slings and making them fashionable for moms and dads. In 2011, the company became a philanthropic business model with a sling donated to mothers in Haiti for every sling purchased online. 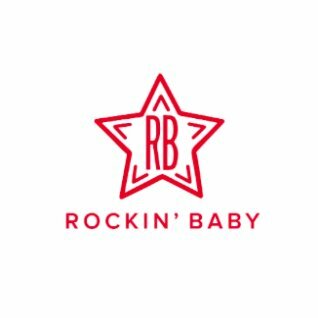 Why Rockin Baby is a Top Baby Store: Rockin Baby's core products include slings and pouches for mommy and daddy, with every single purchase equaling a sling donated to a mom in need. The business has grown to apparel for kids aged from newborns through 10 years old. Online store with numerous awards for best baby and toddler gear. Baby's skin requires gentle, safe, chemical-free products that will keep him or her happy, healthy, rash-free and comfortable at all hours. That's what Little Twig sets out to achieve with their full line of bath, body and homecare products that are safe for baby's skin while making sure to keep a smile on his or her face. Avoid diaper rashes and keep skin soft and smooth while only using plant-based organic ingredients. Little Twig was one of the first companies to create safe, chemical-free bath, body and skincare products using plant-based ingredients. Why Little Twig is a Top Baby Store: Bath and body, moisturizers, lotions, gifts, soaps, household items, cleaning products and plenty of free samples. Available at retailers everywhere, including CVS and Diapers.com. If your baby is screaming in discomfort and can't get a good night's sleep (which usually mean the same for mommy and daddy), one of the most common reasons is skin discomfort. That can be due to eczema, diaper rash or skin rash, which is where Baby Pibu can save the day. Created by a mom and dermatologist who created safe and gentle skin care, bath products and lotions, Baby Pibu products will be able to treat common skin conditions so everyone can sleep tight. 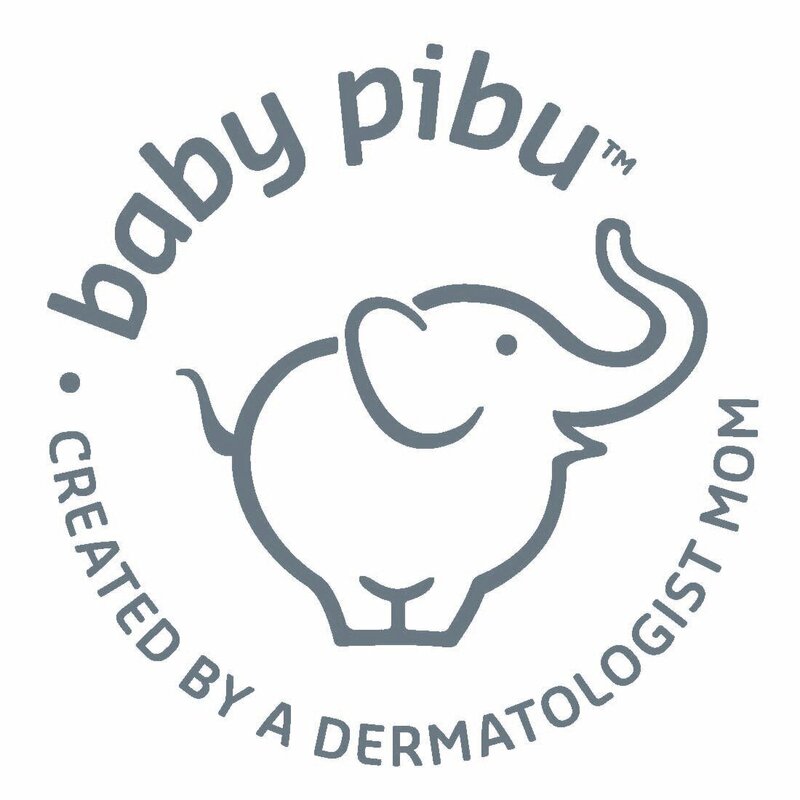 Baby Pibu was created by dermatologist and mom Dr. Amy Kim with the goal of creating high-quality products that are safe for baby's skin. Why Baby Pibu is a Top Baby Store: Products created specifically to treat and prevent diaper rash, eczema and skin conditions that can affect your baby, plus education and online resources. Baby Pibu products can be found in hundreds of boutiques around the country and online retailers. Once you have found the perfect crib and nursery for baby, you still need to make sure that he or she has the softest and most comfortable bedding, skirts and finishing touches. Novela uses only the safest and softest organic cotton that will be smooth and soft on baby's skin. Whether you are looking for sheets, sleeping bags, blankets or skirts for baby and crib, it's one of the best options for a happy sleeping baby (and parents). Novela was created with the mission to provide the softest and safest organic cotton bedding as gentle as your baby's skin, and it has succeeded with warm and cozy nurseries for babies everywhere. Why Novela is a Top Baby Store: Soft and certified organic cotton, bedding sheets, crib skirts, comforters, sleeping bags and nursery accessories that are specially designed for baby. Dozens of retailers online, including Baby Depot and Amazon. Whether you need classes, workshops, community, clothes or accessories for mom or baby, Wild Was Mama is one of the best resources in Brooklyn, New York. They are there to help moms every step of the way with some of the best educators who work in conjunction with a full store. Brooklyn mommies and babies will find everything they need, along with other parents experiencing the same excitement. Wild Was Mama, a community pillar in the popular baby mecca of Park Slope and Greenpoint, Brooklyn, is an all-around resource for moms and moms-to-be. 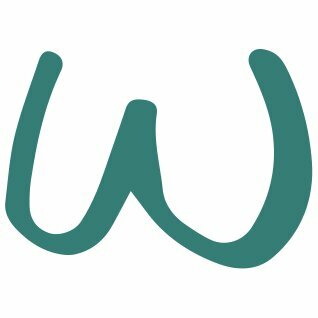 Why Wild Was Mama is a Top Baby Store: Baby carriers, maternity clothes, nursing and pumping, diapering, baby and toddler clothes, classes, workshops and events. Two locations in Park Slope and Greenpoint, Brooklyn, with a great online store. CultureBaby is unique because its clothes, designs, bibs, shoes and blankets are inspired by different countries and cultures around the world. Whether you are looking for a Spanish-infused pair of shoes, a Moroccan-patterned burbie or a Caribbean-textured blanket, there are very few boutiques online that feature this level of a global view on parenting in such effective designs. Created by Natalia Rankine-Galloway when her son was five months old, she was inspired by global approaches to parenting. Why CultureBaby is a Top Baby Store: Unlike many other boutiques that allow you to search only by category, CultureBaby lets you search by the regions around the world that inspired the clothes and gifts. Online store that's been featured in Forbes, The View, Elizabeth Street and Stroller in the City. If Noble Carriage sounds like your baby will look like a stylish European lord or lady, you won't be too far off with these gorgeous and adorable handwoven clothes. Created with handwoven, 100% organic materials that are free from chemicals and bleaching, Noble Carriage features unique designs and patterns that display the kind of love that you have for your baby. Noble Carriage was founded with the mission to design baby clothes from organic materials that are made in the USA from fair trade and handmade practices. Why Noble Carriage is a Top Baby Store: Apparel, furniture, decor, toys, gifts, nursing, teethers, dolls and rattles created with 100% organic materials. Online boutique featuring over a dozen brands and designers. One of the challenges faced by new parents is supporting baby's weaker neck. Babies can be very uncomfortable if their head tilts to one side or the other. This was what prompted a mother of four to invent Baby Elephant Ears. Sort of like a travel pillow for babies, it fits snugly behind a baby's neck to provide safety, comfort and support. Versatile, portable and washable, they are chiropractor-inspired and mother designed. Baby Elephant Ears was created by a mother of four out of parental concern. Her baby had weaker neck muscles and needed an innovative answer to sleep more comfortably. 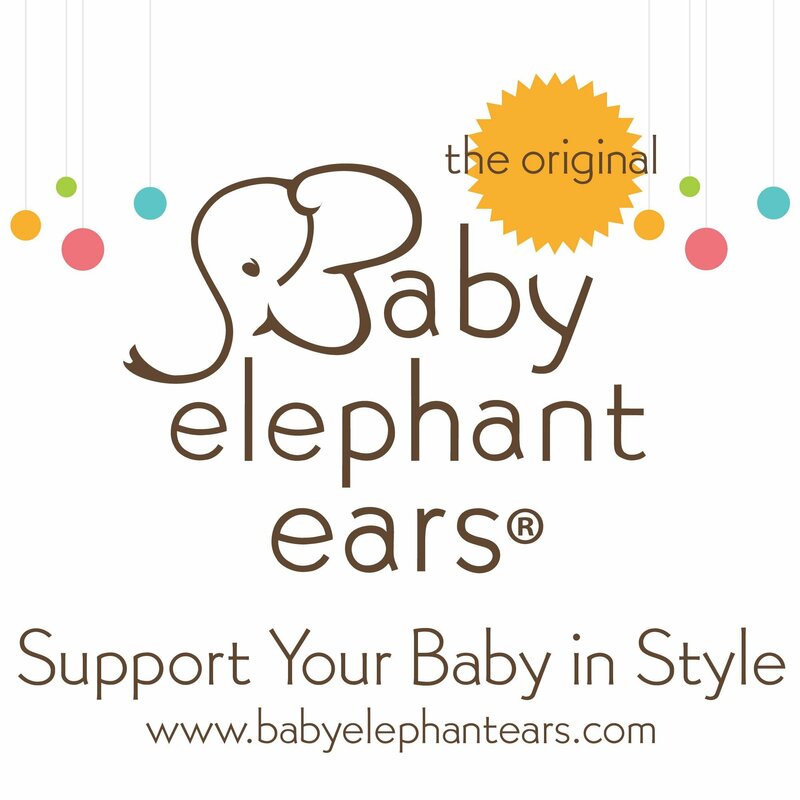 Why Baby Elephant Ears is a Top Baby Store: What started as their primary baby elephant ears line has expanded to blankets, bibs, stroller bags and stroller liners. Minnesota-based online store. Think back to being a kid and what you imagined it would be like if you walked into Santa's workshop. That's what you get when you step into the Brooklyn, New York, Acorn Toy Shop. Handcrafted wooden toys make you think of a bearded artisan spending hours on each block and piece of material that will be cherished by your child for years. Truly a toy store unlike anywhere else. Acorn was established in 2004 by Diane Crespo and Karin Schaefer to carry handcrafted toys that allow children to explore and expand their imaginations. Why Acorn is a Top Baby Store: Wooden toys, Waldorf dolls, apparel and artwork by New York designers and artists. They focus on heirloom quality products with eco-friendly practices and materials. Located in downtown Brooklyn, NY, and online. Peekaboo Beans offers a unique approach to children's clothing and accessories by seeking out "hosts" and "stylists" to sell their wares at parties and soirees. Stylists usually purchase the items upfront and then become their own mini-business to go out and sell the products through socials. It's a great option for those skilled at sales looking for additional income with part-time work. Founded with the mission to get kids outdoors and having fun in active clothing outside in the sun. Why Peekaboo Beans is a Top Baby Store: Simple, affordable, stylish, comfortable and chemical-free clothing that will make moms and kids happy. Innovative model where "stylists" sell Peekaboo Beans at parties and soirees. Canadian-based company with a huge emphasis on playware and getting kids outside. Shopping for the right crib and nursery can be overwhelming, but one thing is clear: kids love P'kolino designs for their functional, artful and playful cribs, tables and furniture. Using a network of worldwide designers, P'kolino's products share the same functionality and precision design that you'd expect from a top furniture maker with an eye towards care, safety and love that baby deserves. 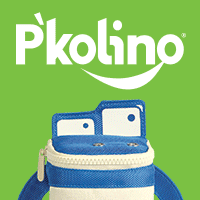 P'kolino's founders started with the goal to "make better products to improve play at home." They have grown from play tables to cribs thanks to their dedication to safe and functional products from top designers. Why P'kolino is a Top Baby Store: Cribs, dressers, gliders, bedding, rugs, wall decor, tables and chairs with sleek European designs. Available in dozens of furniture stores across the U.S. and U.K. Imagine a one-stop shop for everything baby but instead of mass market commercialized products. you have the best in designer clothing and accessories for baby. The best parent-tested and mother-reviewed and approved toys, gifts and apparel is all available at this popular Pacific Northwest outpost and online store. Featured on HGTV, Sunset Magazine and Pregnancy & Newborn as a stand-out baby store in the Pacific Northwest. Why SugarBabies is a Top Baby Store: One-stop store offering designer apparel, accessories, nursery decor, baby gear, baby essentials, toys and gifts, it makes for a great gift registry for new parents. Sumner, WA, retail store and online store. Project Nursery is a high-end baby boutique that features designer clothing, accessories and furniture with great and stylish designs that maximize comfort for mom and baby. Whether you have your eye on a designer crib, chic diaper bag or want to be stylish while bringing baby around town, Project Nursery hits all the right notes in terms of style and comfort. Created by interior design enthusiasts who have reached 1.5 million parents, professionals and bloggers annually with kid-friendly decorating projects. Why Project Nursery is a Top Baby Store: Furniture, decor, clothing, baby blankets, toys, party supplies and essentials from top designers with moms and babies in mind. Shop their online store or Instagram page. If Iglooplay's child-inspired, friendly, safe and green furniture looks like it should be featured in a design museum, that's probably because it was featured at the Museum of Modern Art's design store. These stylish collections were constructed with a designer's eye for all the fun a kid could ever have. Iglooplay is a collection of children's furnishings that were designed by Lisa Albin. They are built with a modern sensibility around organic forms and ergonomics. Why Iglooplay is a Top Baby Store: Loungers, rockers, work tables, toy/chaises, tea pods, candy pods and tortoise tables with modernist designs and sensibility. Available in dozens of stores across the country and has been featured in the Museum of Modern Art Design Store, Barneys and Calypso. Liz and Roo's mission is to create baby bedding products that are individually sewn and American made. By supporting local businesses, they have also succeeded in their booming baby bedding business. Whether you're looking for something for a boy, girl, gender neutral, or a monogrammed gift for a loved one, you'll find their bedding is both luxurious and well made. The line was inspired by two little girls, and that love goes into every product they sew. Founded in 2013 by Caroline Eager and Carol Ann Anderson, their vision was to create a modern, sophisticated, made in the USA baby line emphasizing safety, quality workmanship, and style. Why Liz and Roo is a Top Baby Store: Ready-to-ship crib bedding sets and separates, with the ability to mix and match to create a custom nursery. Over 75 different fabrics and every crib bedding product your child will need, including curtains and valances to finish the room. A women-owned business, Liz and Roo's baby bedding products can be found in more than 125 specialty baby stores in the USA and Canada, and they can also be found online at buybuyBaby and Babies R Us. belle&beanzer is designed with style, functionality and personality in mind. Created by a mom who was tired of the transactional nature of parenthood, she looked for innovative clothing, styles and designs, belle&beanzer has now become a popular and great online store and resource for parents everywhere. With their unique shorties, roo gowns and booties, parents can shop for cute and personal products that you can't find anywhere else. Dedicated to innovating fast, easy, convenient & adorable baby clothing and accessories. Why belle&beanzer is a Top Baby Store: Shorties, rompers, blankets, roo gowns, booties and burpees. Innovative products made with eco-friendly materials. Online store based out of Valley Cottage, NY. Enjoy the calming sound of waves at the beach while your tot plays in the sand, builds castles and digs in the ground with his or her shovel. Beachfront Baby Carriers are built for hot weather and will make it easier for moms to bring their tot to the shore. Created by a mother of four to make it easier for parents to carry babies in slings and wraps. Why Beachfront Baby is a Top Baby Store: Performance athletic and breathable mesh that is lightweight and quick to dry. You can wear baby at the beach, playground or pool so you can have your hands free in warm weather outings. Texas-based online store. Little Pnuts isn't just the toy store of your kids' dreams. In addition to being stocked with the best games and toys, you can gift or sign up for quarterly toy delivery that includes 3-5 toys per box. They are bringing the popularity of sites like Birch Box to the world of kids toys and moms and tots are big fans. Little Pnuts is dedicated to high quality, eco-friendly, natural and sustainably-made toys that encourage imaginative and creative play. Why Little Pnuts Toy Shoppe is a Top Baby Store: Gifts, subscriptions and boxes can be personalized for your child (ages, gender, etc.). They also offer travel kits pre-packed with travel-friendly activities for kids. Located in Louisiana, with a nationwide subscription service. You're juggling multiple kids, diaper bags, stroller and purse. Your kids are screaming, they need their bottle or a toy and you just don't have enough hands. That was literally the thinking behind this fun, safe and unique bottle system that allows mommies to multitask so baby can be fed, happy and healthy. Mother's 3rd Arm was co-founded by a grandmother and doctor who needed to find an easier way to keep babies happy and fed when parents' hands are full. Why Mother's 3rd Arm is a Top Baby Store: Unique and doctor-recommended feeding system that makes multitasking fun for parents who have their hands full. Available through their online store. Brick-and-mortar store located in trendy Brooklyn, LuLu's for Babies is an infant and toddler boutique. Kids and parents will love the toys, clothes and accessories that pack the walls of this popular location. Founded by former fashion executive Brigitte Prat in 2001, it expanded in 2009 to become LuLu's for Baby to fill the demand for strollers, baby clothing and accessories in her popular Park Slope neighborhood. Why LuLu's for Baby is a Top Baby Store: Clothes, toys, footwear and music from top-of-the-line brands. Located on 5th Avenue in trendy Park Slope, Brooklyn. Every single item in Denim & Daisies is handpicked by their curating staff who specialize in beautiful and unique designs that stand out in the world of children's clothing. With beautiful floral prints, expressive designerwear for all seasons and specialized outfits for your adorable toddler, this is one of the most unique and emotive options for kidswear on the market. Denim & Daisies was founded to discover the newest trends and styles in children's clothing for newborns and kids. Why Denim & Daisies is a Top Baby Store: Embroidered dresses, jumpsuits, onesies, skirts, outerwear, sleepwear and designs. Boutique located in Denville, NJ. Preggie Baby Boutique in an online baby boutique that offers modern products that are safe, earth-friendly, and free of any toxic chemicals and ingredients so that they are safe for baby. They have products that take you from mom-to-be through post-delivery and breastfeeding as well as super cute products when your newborn arrives. According to their site, Preggie Baby Boutique was "Created by two friends, a doctor and an experienced pregnancy and women's health writer." Why Preggie Baby Boutique is a Top Baby Store: Backpacks from 100% recycled materials, onesies, towels and farm buddies, along with an online registry for any kind of wish list for mom or baby. Online collection from dozens of designers focused on providing earth-friendly, safe, natural and practical baby and pregnancy products for mom and kids. Mello&Co sets itself apart with its all-in-one baby teether. Constructed from BPA-free silicone and priced at $20, the Nawgum is Consumer and Product Safety Commission compliant and dishwasher safe. Founded by mom and product designer Sue Kellogg to focus on safe and fun products with high-quality and food-grade silicone. Why Mello&Co is a Top Baby Store: The Nawgum teether is soft and rubbery on the surface with a patented design for comfort and development. Michigan-based online baby and child product development company available in stores nationwide. Lil' Pirate, "Rock Star," "Awesome," "Punk," and "Big Brother" give your baby some style with these cute, funny and edgy shirts, onesies and shoes so that your little one will stand out on the playground. Founded by Canadian-based designer Shelley Foster in 2002, Silly Souls believes that a day without laughter is a day wasted. 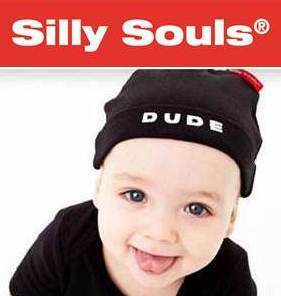 Why Silly Souls is a Top Baby Store: Hoodies, dresses, hats, leggings, socks, shoes, bibs and maternity tees with cool and funny designs for babies through kids Online store supported by retail partners in the U.S., Canada, Europe, Asia and Middle East. Inspired by the founder's roots in the Colombian Andes Mountains, Poncho Baby is a line of breastfeeding products that offer greater privacy and connection for mommy and baby. It is a great option for moms who are looking to breastfeed anywhere and preserve this special relationship between parent and child. Designed by a mom who was looking for an easier way to view her baby while breastfeeding and have more privacy during this special connection with her baby. Its patented nursing cover is also multifunctional: stroller cover, car seat canopy, blanket and more. Poncho Baby has expanded to an organic baby collection that includes bibs, baby blankets, onesies, baby hats, washcloths, organic diaper bag and more. 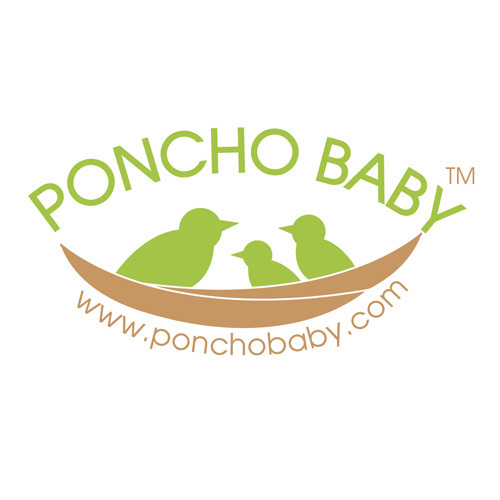 Why Poncho Baby is a Top Baby Store: Award-winning nursing products and apparel, personalized baby bibs, baby blankets, onesies, washcloths band baby clothes along with complete gift sets for mommy and baby. Available in dozens of stores around the country and internationally. If your baby has the photo shoot of your dreams on the horizon or you're looking for the most discerning and adorable baby clothes on the market, this upscale Madison Avenue boutique is the only place for you. That's thanks to the artfully designed clothes that are made for parents with the greatest taste when it comes to dressing their kids. 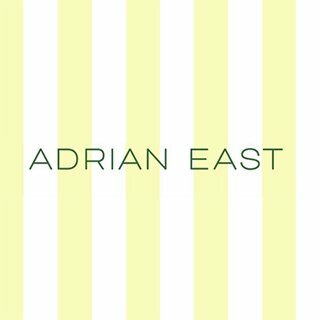 Adrian East is a destination baby clothing store and website for parents with discerning taste when it comes to shopping and dressing their kids. Why Adrian East is a Top Baby Store: Embroidered onesie pajamas, footsies, overalls, skirts, dresses, outerwear and swimwear for babies, kids and toddlers. Located in New York, NY, and Bronxville, NY, with an online store. SoftBaby specializes in eco-friendly, organic and adorable baby clothes and blankets with fun, graphic animal prints. Whether you want to dress your baby in designs of cute puppies, strawberries, whales or owls, these are great patterns for a cozy night of sleep. 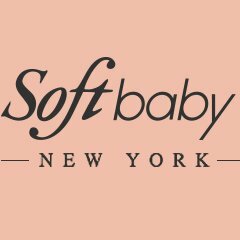 SoftBaby is dedicated to designing vibrant and hypoallergenic organic cotton baby clothes. Fans of design and style will love their specialized patterns. Why SoftBaby is a Top Baby Store: Each step of the clothing creation process is done with care, keeping both the environment and your little one in mind. Rompers, onesies and a thorough blog on cleaning baby clothes and organic materials. New York-based online store with one of the cutest Instagram pages online. Little Moonjumber will have your baby reaching for the stars and playing farm with these intricate, soft, custom and personalized blankets, all made in the USA. They are all brightly colored, bold and fun. They make great gifts for a child's nursery or playroom. Created in 1997 when a mother of a 10-month-old left her job and started making blankets in her living room. Why Little Moonjumper is a Top Baby Store: Full gallery of customizable baby blankets that are all constructed in the USA. Whether your baby is interested in animals or space, there's a blanket for baby at Little Moonjumpers. Online store with blankets that have been featured in dozens of magazines and on the sets of Friends, Parenthood and Up All Night. Huggabeans is a startup that makes adorable, designer-quality knit beanies and other knit products for babies. Why Huggabeans is a Top Baby Store: With a wide range of styles for both boy and girls, you'll love the adorable products this site offers. Hats for toddlers, holiday-themed products, blankets, and adorable animal hats are all on offer here. This Southwestern, one-stop shop offers high-quality baby clothing and accessories for every stage of baby's development. Whether you need to find carriers for baby adventures, clothing for all stages of childhood, or toys or gifts that you need for a friend, you'll find anything you could want at this store that's dedicated to offering the best for kids and parents. AZ Baby Boutique was founded to offer "An exciting selection of high-quality, fashionable young children's clothing and accessories at exceptional value and affordable cost." Why AZ Baby Boutique is a Top Baby Store: Gifts, toys, carriers, apparel, shower gifts, wraps, sleepwear, swimwear, bed and bath, one-stop-shop for all things baby. Located in Cave Creek, AZ, with an online store. European inspired and designed, Childrenchic is a clothing boutique that will inspire a trip with your child to walk the banks of the Seine after a day at the Louvre. They pride themselves on the quality of their gorgeous clothes that stand out from the rest. 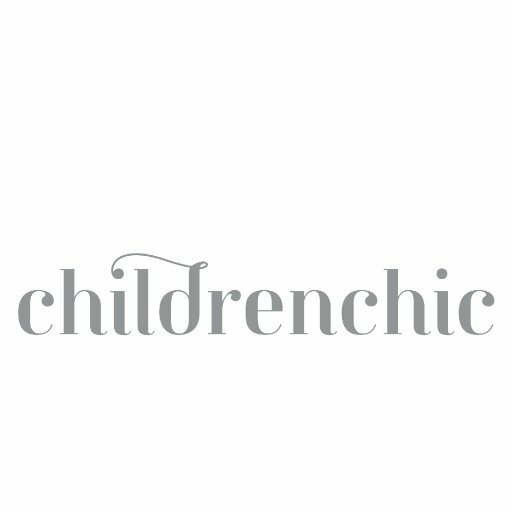 Childrenchic describes themselves as "An online boutique offering a collection of cleverly styled, exceptional quality ensembles for babies and children, hand-selected from independent European designers." Why Childrenchic is a Top Baby Store: Childrenchic specializes in stylish options for first communion and wedding wear. Online boutique. Sammy & Nat specialize in 100% pima cotton pajama sets for babies up to children size 6. Their apparel is soft, stylish, warm and adorable, and will guarantee that your baby will have a snuggly night of sleep in these great clothes. Boutique dedicated to using classic and comfortable materials for babies. Why Sammy & Nat is a Top Baby Store: Fitted, cute and cozy pajamas, Sammy & Nat also offers free monograming and has various gift sets. Online boutique for their stars, anchors and boats in solid and dot collections. Darling Droopers is exactly what it sounds like. Specializing in stylish burp cloths and bibs, your newborn baby will have the cutest cloth beneath his or her chin. Started as a small boutique in 2005, Darling Droolers are now sold in over 100 boutiques nationwide. Why Darling Droolers is a Top Baby Store: Customizable bibs, burp clothes, nursing covers, changing mats and blankets. Sold both online and in baby boutiques across the country. If dinnertime seems like a chore, Fresh Baby offers fun and creative products that focus on nutrition education for all ages. The website offers free healthy recipes for nutritious and delicious food. There are also great articles and other free resources to learn more about health. Author and executive Cheryl Tallman created Fresh Baby to support parents with healthy and nutritious solutions. Why Fresh Baby is a Top Baby Store: Cutlery, dishware, education and recipes based around dining, health and nutrition for kids of all ages. Michigan-based online store that works with nutrition programs around the country. Kira Kids stands out with their cute and quirky patterns that are emblematic of the Bay Area. It is a great baby and kids boutique that offers very unique bibs and other gifts. The clothes and designs are fun but the gift section offers the most unique options. SF-based designers committed to eco- and style-friendly patterns with high quality sustainable materials. Why Kira Kids is a Top Baby Store: Rombers, onesies, shirts, bibs, backpacks and decor with clever and unique designs that will let your baby stand out from the ordinary. Online store with two brick-and-mortar locations in the Bay Area. Glassybaby is a specialized store that creates hand-blown glass to mark special events and milestones in life. Whether you just need to relax while baby takes a nap or you want the perfect gift for a baby shower, these stores along the West Coast understand the love that goes into the care you have for your family. Created by artisan glassblowers who believe in hope, beauty and kindness of babies, friendship and the Earth. Zutano prides itself on offering clothes as unique as your baby. It achieves that with some of the most adorable, picture-perfect, softest organic clothes with monogramming available. Rather than focus solely on clothes, Zutano goes the extra step with accessories and footwear for your baby's first leaps forward. Created with the belief that every outfit and garment should have the unique spirit and care found with every baby. One of the most important challenges that new parents face is breastfeeding, and one of the greatest resources in the L.A. area is The Pump Station. Whether you are looking for support, help, classes, products or a community, they have a team of professionals, doulas and experienced staff to help answer any question and find a solution that works for you and your baby. 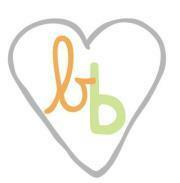 Created to be a breastfeeding support and new parent resource center in the Los Angeles area. Why The Pump Station and Nurtury is a Top Baby Store: Parenting classes, mommy & me, help libraries, breastfeeding, store and community. California locations in Santa Monica and Hollywood along with online shopping. Green Toys has brought a commitment to 100% recycled materials for toys for kids of all ages. The result is booming popularity around the world. Created from milk jugs and recyclables, these trains, trucks, airplanes, games and books are eco- and kid-friendly while also being available at a competitive price without leaving a footprint. Created by parents who wanted to bring 100% recycled materials to U.S.-based manufacturing. Named the Best of Boston and Best of Boston Home in 2012, 2013 and 2014, this one-stop baby shop selling everything from furniture, decor to toys and everything in between is the premier shopping location for parents in the Boston area. Staffed by parents and carrying only approved products, it's great for any kind of budget and design. Founded by a daughter and her mom to create green, healthy and safe baby gear in the Boston area. Whether it's camp, sports or school, one of the challenges for parents is keeping names on clothing and gear. Name Bubbles came along to become one of the largest waterproof name labels for children of all ages. Perfect for kids with food allergies who want labels with fun shapes, designs and colors, it's a great way to keep track of your kids' stuff. Started by a mom who went into business for herself, Name Bubbles now ships all around the world. Voted the best children's store in the trendy Greenpoint neighborhood of Brooklyn, every product is tested and approved to only be the best for babies and kids. Whether you're looking for a good deal on clothes, the best books and toys for babies, or to get lost in your kid's favorite store while on your walk, their experienced and knowledgeable staff is there to help. Flying Squirrel was founded by an artist, film maker and mom who wanted to create a magical store for kids in Brooklyn. Why Flying Squirrel is a Top Baby Store: The best baby books, classes, new and used clothes, toys and events. Greenpoint is located in Brooklyn, NY. Smocking Birds is the premier clothing store in one of the most stylish beach towns in the country. Huntington Beach, California, is home to some of the most fashionable mommies and babies in California, and when they want to dress up their kids in the latest styles, they find themselves at Smocking Birds. Featured in OC Family Magazine, Orange County Register and Good Day LA. 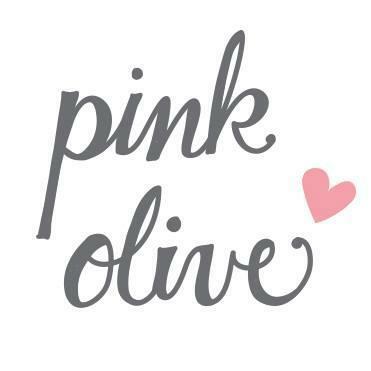 If PaperSource and Papyrus were combined with a fashionable East Village baby boutique, you would get Pink Olive. Whether you're looking for teethers, hats, accessories, bows, clothes or toys, Pink Olive has style, class, chic patterns and adorable offerings for kids and moms of all ages. Born out of love for fashion, kids, families and accessories, Grace Kang brings her passion to this popular East Village boutique. Why Pink Olive is a Top Baby Store: Clothes, bath time, lovies, stuffed animals, toys, rattles and games with a focus on green and eco-friendly construction. Online store and a location in the East Village of New York City. Join the popular movement to switch to cloth diapers. It's healthier on the environment and better for your wallet. That's part of the mission behind Diaper Lab, an online company with a retail location in Massachusetts. It's dedicated to modern cloth diapers, doing away with pins and bulk and revolutionizing the field for babies and parents everywhere. Created by moms and teachers who were looking for an eco-friendly diaper solution for their babies. Baby Bear Shop understands that caring for mommy and baby's skin is a delicate matter that takes the right amount of love, care and attention. Their line of organic lotions, soaps, shampoos, oils and balms are made to soothe baby's sensitive skin with a line of safe and healthy products. Baby Bearshop was created by a mom who wanted a safe and organic skincare line for parents who cared about their baby's' sensitive skin and the environment. Rockabye Baby specializes in lullaby versions of your favorite rock songs. 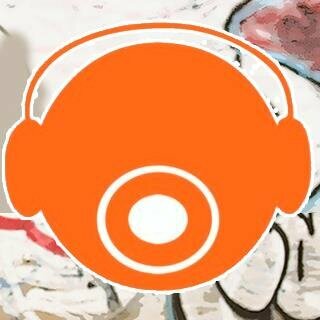 They offer kid/baby versions of your favorite songs and adult-friendly versions of kid songs. If you're tired of listening to the same loop of "The Wheels on the Bus" while driving in the car, you can finally shake it up with your favorite bands and artists and your little one will be just as happy with the soothing melodies. LA-based Rockabye Baby is part of the CMH label group, a 40-year-old company specializing in bluegrass and blues. Why Rockabye Baby is a Top Baby Store: Hamilton, The Beatles, Adele, Beyoncé are all available through their online store or even on vinyl. Online store based out of Los Angeles that offers free shipping on orders $65. Owls, giraffes, pandas, cows, bumble bees, patterns and designs: when it comes to dressing baby in adorable apparel, Colette Kids is one of the best. Parents and kids will love this safe, functional and comfortable clothing that will look and feel great at every stage of baby's upbringing. Founded to provide a collection of hip and vibrant unisex designs that are made in the USA and screen-printed by hand. Why Colette Kids is a Top Baby Store: .Shirts, onesies, dresses, bibs and hats in animal designs that will look great on baby Online store based in San Francisco. 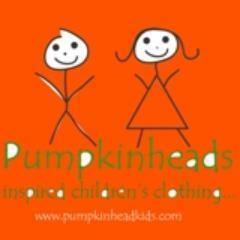 Pumpkinheads features luxury and designer baby clothes constructed from 100% cashmere and 100% organic cotton. Their blankets and sweaters make for excellent and fashionable gift ideas for super chic friends and families. Whether you're looking for the softest and cutest blanket for your newborn or shop for clothing like a celebrity, Pumpkinheads will have what you need. Jamara Ghalayini resides in Calabasas, California, with her husband, TV and film actor Mo Gallini, their daughter Ofelia and their 4 dogs. Why Pumpkinheads is a Top Baby Store: Shirts, rompers, blankets, trucker hats - yes, trucker hats - blouses, shorts, dresses, swimwear and shoes made from the highest-quality materials. Online boutique with a location in the Brentwood neighborhood of Los Angeles, with styles from hundreds of designers for any kind of collection you'll need. Oh, the places you'll go, "Hey ma," "Hey pa," big brother sets and lucky charm designs, Urban Baby Co. is a one-stop online boutique for adorable and personable apparel that is designed with the love and care that you have for baby. With organic materials and clever creations, there's going to be something there for stylish and trendy moms and kids. Founded in Colorado, Urban Baby Co. is an eco-friendly and handmade brand for hip and trendy babies and parents. Why Urban Baby Co. is a Top Baby Store: Cute, funny, eclectic, eco-friendly, handmade, apparel, headbands, designs and accessories for parents and kids. Online boutique. When it comes to your baby's future, you want to make sure you're leaving the planet sustainable, healthy and environmentally sound. That's the thinking behind Re-Play, one of the largest companies for dishware and dining for babies and kids, with all their products using safe, eco-friendly and recycled materials. Family-owned business founded in 1987 featuring sustainable and recycled consumer goods that are safe for baby. Why Re-Play is a Top Baby Store: Plates, utensils, cups, plates, dishware, sippies, bowls and tumblers all created from sustainable and recycled goods. Available in Babies R Us, Targets, Walmart and Whole Foods everywhere. Sorry, we're chillin', "Aloha, babies," knit beanies and skater denim - your kid will turn heads on the playground and skate park thanks to this fashionable line of clothing. Whether you want to share your love for the outdoors, surfing, or skating culture, this is one of the best boutiques online for cool and fashionable kids along with all their clothes and gear. Owned and operated by a mom since 2006, was founded to combine her love of fashion with the love she has for her kids, and it resulted in a successful online boutique. 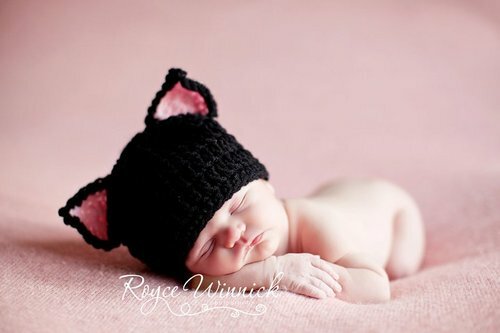 Why Urban Baby Runway is a Top Baby Store: Apparel, hats, accessories, blankets, dresses, skirts, swimwear, blankets, mugs and gear for stylish babies. Online boutique. 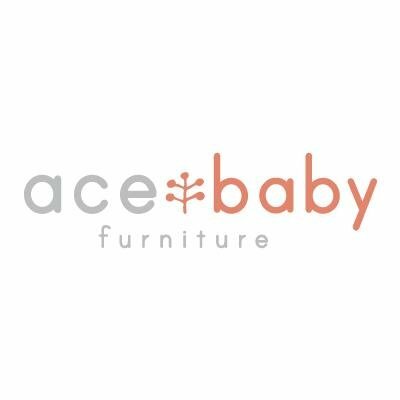 When it comes to well-constructed, American-made, fun, practical, playful and functional furniture, there's a reason that Ace Baby Furniture has been featured on Shark Tank and dozens of other outlets. With their cool, soaring animal-shaped designs, workstations, cubbies and storage, it's a great option for kids to have a space of their own while building upon their imagination. Ace Baby Furniture is a family-owned and operated business with over 20 years of experience. They set out to design affordable and well-built American-made children's furniture and have definitely succeeded. Why Ace Baby Furniture is a Top Baby Store: Wardrobes, shoe cubbies, bookcases, toy organization and height-adjustable work stations with a fun and loving design for kids. Available from retailers around the country, including Amazon, Walmart and Sears. Babee Talk came into existence to make cribs and beds safer, more comfortable and more fun for baby. That's thanks to their line of eco-friendly crib rails, teething guards, organic bedding nursery and organic and chemical-free baby toys. Safe for babies and parent-approved, it makes cribs even safer and better for baby. Invented by Jennifer Cicci when she noticed teeth marks on her children's cribs, she sought to create safe, chemical-free, chew-friendly and drool-friendly products, which ultimately grew into Babee Talk. Why Babee Talk is a Top Baby Store: Featuring crib rail covers, stroller toys, crib toys, teethers and organic bedding. Available online and in dozens of stores on the Internet and around the country. With the overwhelming options that come from shopping online or in big box stores, it can be a relief for parents to have a small and personalized series of stores for in-person tips and advice. With four locations in the D.C. area, Dawn Price Baby has everything that baby, mommy and daddy will need. Whether it's toys, clothes, gifts, music or books, parents can get help in person and do all the shopping they need for a healthy and happy baby. A one-stop shop for toys, clothes, carriers and gifts was created over ten years ago and has expanded to four stores around D.C.
Why Dawn Price Baby is a Top Baby Store: Brick-and-mortar store featuring everything you'll need for baby along with in-person tips and advice. Nursery, gear, sleeping, feeding, bath time, clothes, music and books make it a great place for gifts. Four locations in the D.C. metro area. As shoppers became more conscious of where their clothing was being made and constructed, one New York resident wanted to bring the same to baby clothes. Inspired by her adorable cousins, Lucy & Leo was founded to bring high quality, organic, fair trade clothing, toys and supplies for babies and kids. With events in the greater New York area and the love and care that go into each product, they have become one of the most sustainable and green companies specializing in kids clothes Founded by Rachel Mednick, who wanted to put love and care into organic clothing for kids and succeeded in launching a new boutique based on sustainable practices and organic materials. Why Lucy & Leo is a Top Baby Store: Onesies, bottoms, dresses, babycare, tops, dresses created from fair trade, organic materials that are made in New York. Online boutique featured in Marie Claire, CNBC, Time Out New York and Oxygen. When baby is ready to eat, Happy Family organic foods have every option mommy and daddy could hope to find. Whether it's formula, pouches, teethers, oat bars, puffs, rice cakes or just starting into solid foods, there is a great choice for baby at every stage of development. Delicious, premium-organic and safe ingredients go into these high-quality foods that you can find in stores all across the country. Launched on Mother's Day in 2006, Happy Family is a mom-founded organic food company that has become one of the most popular options around the nation for feeding baby. Why Happy Family is a Top Baby Brand: Formula, starting solids, meals, teethers, puffs, rice cakes and munchies so your baby can have a healthy and happy diet. Retailers all across the nation. New Baby New Paltz has unique origins in that it got its start as a social support group for moms in the New Paltz area. One of the greatest challenges about being a new parent is feeling like you need extra help and really need practical support from fellow parents. That support network grew into a successful store that still retains its core purpose of helping parents with every challenge they face. From everything from nursing through clothes, New Baby New Paltz has a helpful support system that's there for you and baby. New Baby New Paltz was founded in 2010 by Donna Bruschi. Originally a support group, the store grew into a business that has everything baby will need. Most importantly, tips, love and advice from helpful parents. Why New Baby New Paltz is a Top Baby Store: Store filled with apparel, gear, toys and gifts, but sets itself apart when it comes to help with breastfeeding, nursing, care and carriers for mommy and baby. Fully stocked store with excellent resources and products located in New Paltz, New York. You walk into baby's nursery and see a gorgeous wooden crib where your child will get restful night's sleep. It is beautifully designed with a stylish, practical, safe look that feels like home as your family starts to grow. Bellini boutiques set the pace when it comes to luxurious, stylish, safe and high-quality furnishings for your baby's nursery, and has one of the most loyal and high-end followings on the market. Family-owned and operated, Bellini was crafted with the mission statement of creating intimate, safe and pleasing furniture with the uniqueness and timelessness that makes every baby special. Why Bellini is a Top Baby Store: Cribs, beds, desks, bookshelves, dressers and armoires crafted from high-quality wood, stylish design and your baby's safety in mind. Online store and over 20 locations across the world. Legwarmers for babies are finally here and they do wonders when it comes to helping to recover from diaper rash while keeping legs, thighs, ankles and knees warm. Excellent options for cold weather and rainy locations, BabyLegs have become a successful business by keeping baby's legs warm for crawling around the home or out and about on chillier days. 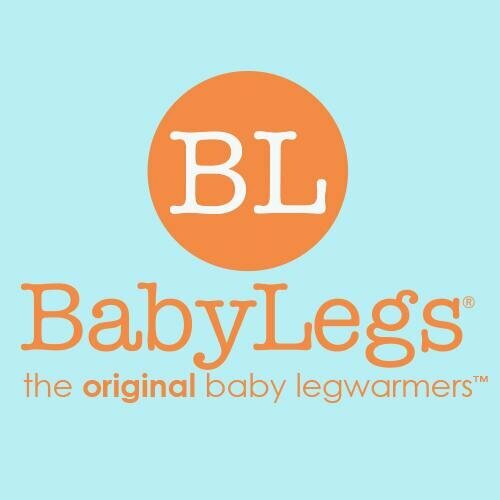 Created by a Seattle-area mom in 2005, BabyLegs was founded to keep her daughter's legs warm to help baby's diaper rash heal and protect feet, legs and toes from the elements. Why BabyLegs is a Top Baby Store: Legwarmers, socks, onesies, tops and diaper covers for newborns and babies. Online store and retailers across the country. Walking into what feels like a German storybook village and be overwhelmed by the number of options that come with furniture, bedding and accessories in this Atlanta outpost. Excellent place to shop for parents who like to hunt for a deal and are willing to do their time, effort and research. Founded to be a one-stop resource for all things baby furniture, one of the best places for deal hunters in the Atlanta area. Why KooKoo Bear Baby & Kids is a Top Baby Store: Bedding, furniture, gifts, large open space to explore, toys and accessories for kids of all ages. Warehouse in Roswell, GA, near Atlanta. Where most sites focus on toys, clothes and the necessities of parenthood, One Step Ahead thinks about the hurdles that most parents face. Whether the home needs to be baby-proofed or you need help potty training your toddler, One Step Ahead is there to help parents out. It sets itself apart by being able to search when and where you need help rather than just provide specific products, and it has a team of parents and grandparents ready to help. Part of Colony Brands, a family-owned business that has been around since 1926. 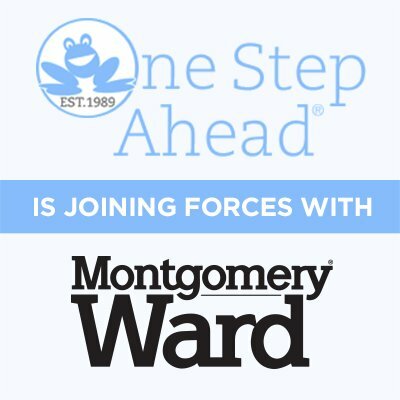 Why One Step Ahead is a Top Baby Store: Help kids sleep, focus, potty train, and declutter. Focuses on allergies and offers answers to common questions that all parents face. California-based online company with a thorough FAQ and quick email response. Share on Facebook "Best Baby Stores"